Polyethylene is one of the most economical material in production of plastic bags. 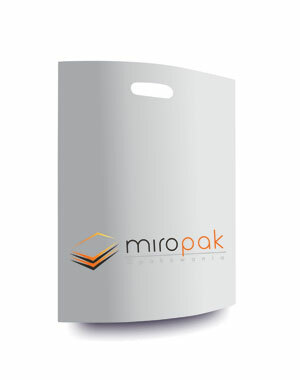 Plastic bags are creating a lot of advertisement possibilities and can be the mobile business card for your company. Many years of professional experience allows us to fit the type and size of plastic bags to the individual requirements of our clients. 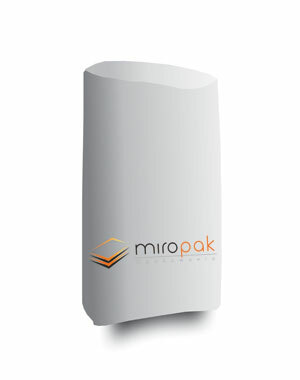 We supply both small businesses and big corporations. Our plastic bags with prints are made from high-quality LDPE, HDPE and MDPE plastic and can be printed on one or both sides with the use of flexographic method. Smaller numbers of bags are printed with the screen-printing method. We invite you to check the details of our offer plastic bags that will improve sales and visibility of your company. and adapted to the blowing devices. Plastic used: LDPE, HDPE, PP, Cast. MARKET type of bags are strengthened nearby handles by turning the plastic inside. Because of that, handle is cut out in the double layer of plastic. DKT type of bags have a piece of plastic welded by the handle- it secures the bag from stretching. Both types of bags are available in the version with or without the fold on the bottom (extension). SOFT LOOP type of bags have a plastic handle welded to the fold on the top. Bags are available in the version with the fold on the bottom (extension). T-SHIRT type of bags have folds on the sides. Handles of the bag are cut from its’ basic shape- it gives the look of the t-shirt. We offer four types of plastic bags: 1. Pouches 2. Market bags 3. Soft Loop bags 4. T-shirt bags. pouches – available without folds, with fold on the bottom, and with glued fold on the top. Our pouches are adapted to the use of blowing devices. We use plastic that suits up the requirements of fast packaging machines. The size of the pouches allows to pack a wide range products: from single buns or cookies to the bread loafs above 1kg and other products that can be packed inside the pouches. Market and DKT bags – the most popular and top selling type of plastic bags. Perfect for packing clothes, shoes or cosmetics. 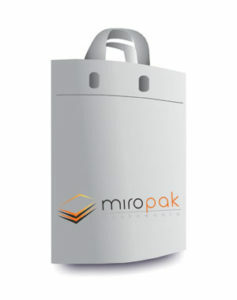 The biggest advantage of this type of bags is their big size (they do not have a fold on the top)- it provides the biggest surface of print, that’s why it is do popular among the supermarket chains or shoe shops. This type of bags is also very durable and comfortable in use. Soft Loop bags – their handles are made from the piece of plastic welded to the upper part of the bag. Double layer of plastic makes the handle more durable. In comparison with Market bags, the product packed inside the Soft Loops bag is uncovered in the upper part, what makes it more vulnerable for the outside conditions. T-shirt bags – the most economical type from mentioned above. They are the most spacious and cheapest in production. Handles of this bag can be used not only for holding but also for tight closing. 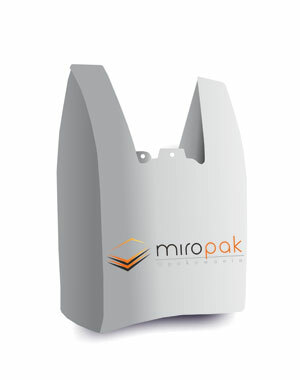 White Soft Loop plastic bags are great solution for the companies that want to underline the elegance and to spend minimal budget in the same time.